Nuggets earn their 10th straight home win after a 123-110 victory over the Charlotte Hornets at Pepsi Center. 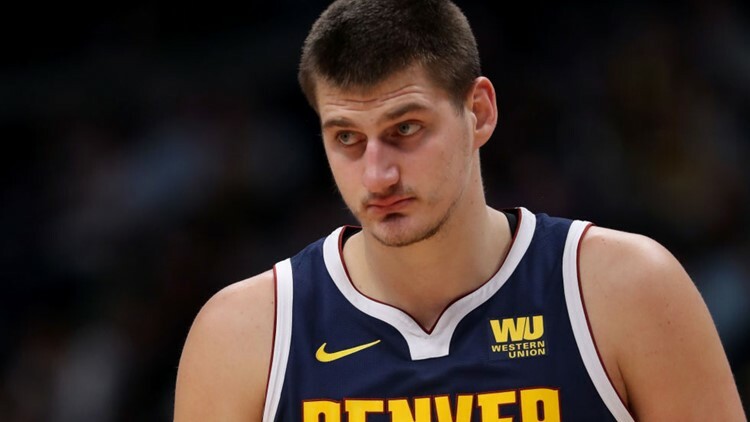 Nikola Jokic scored a season-high 39 points and grabbed 12 rebounds, reserve Paul Millsap added 18 and the Western Conference-leading Denver Nuggets knocked off the Charlotte Hornets 123-110 on Saturday for their 10th straight home victory. Malik Monk scored 12 of his 16 points in the second half, including a 3-point buzzer-beater over Murray to end the third that cut it to 89-84. Neither team was able to gain any sort of separation through three quarters, with Denver's biggest lead eight points and Charlotte's three. Hornets: Biyombo was in the starting lineup with Charlotte C Cody Zeller out after he had surgery to fix a broken right hand. ... G Jeremy Lamb missed a second straight game with a strained right hamstring. "He's progressing well," coach James Borrego reported. ... F Marvin Williams was called for a flagrant foul when he tried to prevent a layup by Craig in the second quarter. Nuggets: Denver led Charlotte in points in the paint by a 64-48 margin. ... Had a season-high 31 second-chance points. "Sometimes you don't want to ruin a good thing, but the end of the day I know Paul and Gary are starters," Nuggets coach Michael Malone said. It's certainly a nice luxury. "When you have starters coming off your bench, you're going to be at the top of most conferences," Borrego said. "That's what they have."